Double chain great boiler drum water pipe type, drum longitudinal layout of ou and down the center of boiler, water wall tube of the chamber radiation heating surface, between the drum and the water drum in bundles of convection heating surface. Chain grate points warehouse into the wind,the wind chamber air volume adjustment indpendently, grate stepless speed regulation. Compact structure,cover an area of an area small, infrastructure investment. Assembly degree is high, short installation period,less installation cost. Radiation heat transfer section adopts the close water cooled tube structure,the convective heat transfer was more than S return heat transfer. 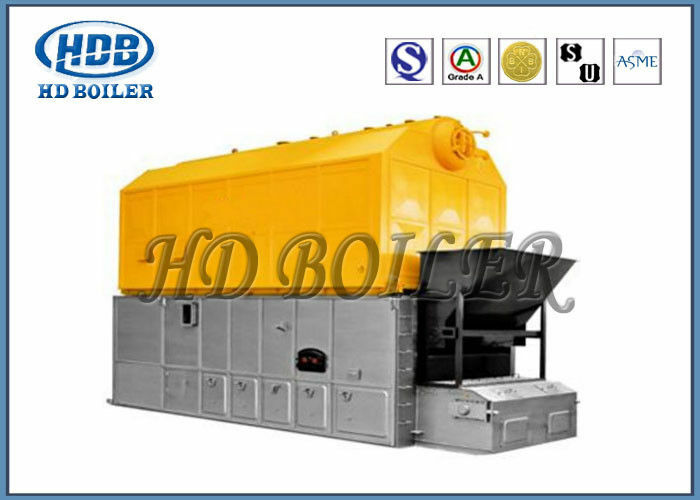 The boiler is made of high quality thermal insulation material and special construction craft,small heat loss.Great furnace arch design,special grate bin into the wind,the wind room independent adjust air flow,coal burning evenly, wide adaptability of coal. safe and reliable,easy to operate.